you must listen to lily allen! 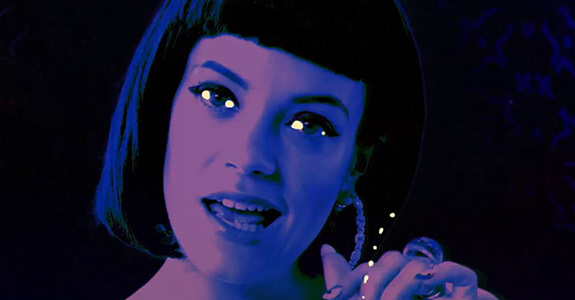 oh man – you guys are going to love this singer/songwriter chick lily allen who is all the rage over in the UK! many special thanks to my pal ms. victoria from wiredset for turning me onto her! i immediately fell in love and passed her along to a few friends who also took to her right away! she is kinda a mix of fiona apple, aimee mann, with a drop of alicia keys & ani difranco – and two people said she was the male version of the streets – ms. lily is funky, chill, and highly enjoyable – so please have a listen below to two of my favorite tracks plus check out the video for her hit #1 single smile! popbytes over & out for now…xxoo! two out of five spices reunite!